MoGen and Biochemistry Canada Research Chairs at a ceremony in MSB today. Congrats to Uri on passing his qualifying exam today! 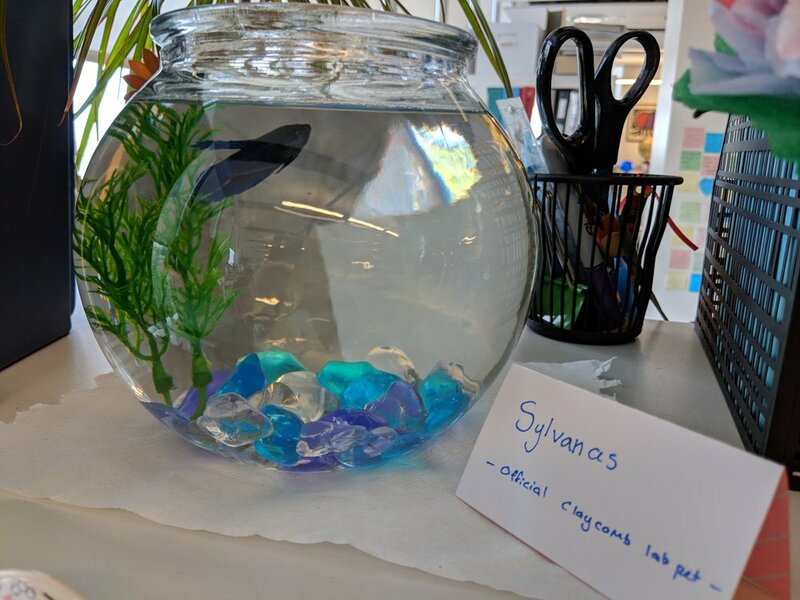 Welcome to our new lab pet, Sylvanas! When it rains, it pours! Our annual lab picnic on the Toronto Island was a washout, but we made the best of it! We had a great time with the Reinke and Ensminger labs! 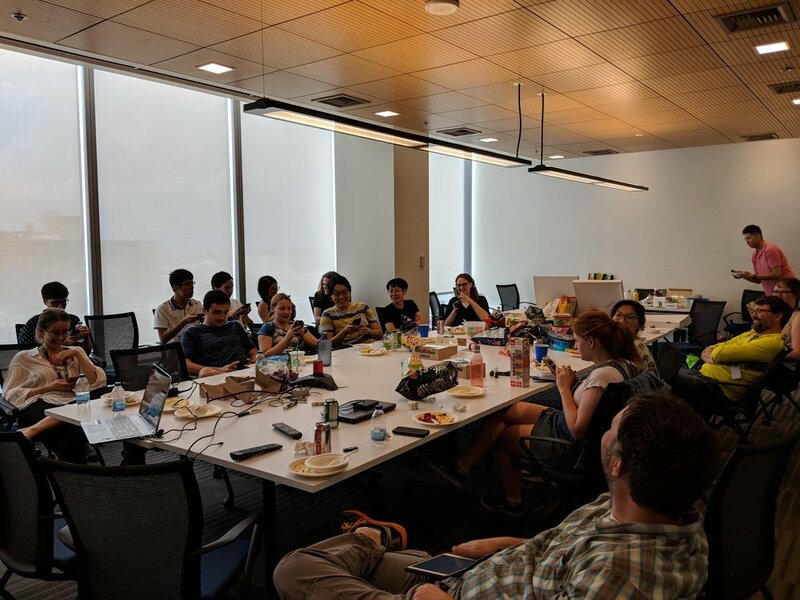 We did some Powerpoint Karaoke, played some Quiplash (hence why everyone has their noses buried in their phones...right....), ate some pizza (no BBQ for us! ), and some ice cream from Julie's family's ice cream stand. All in all, it was a fun day! 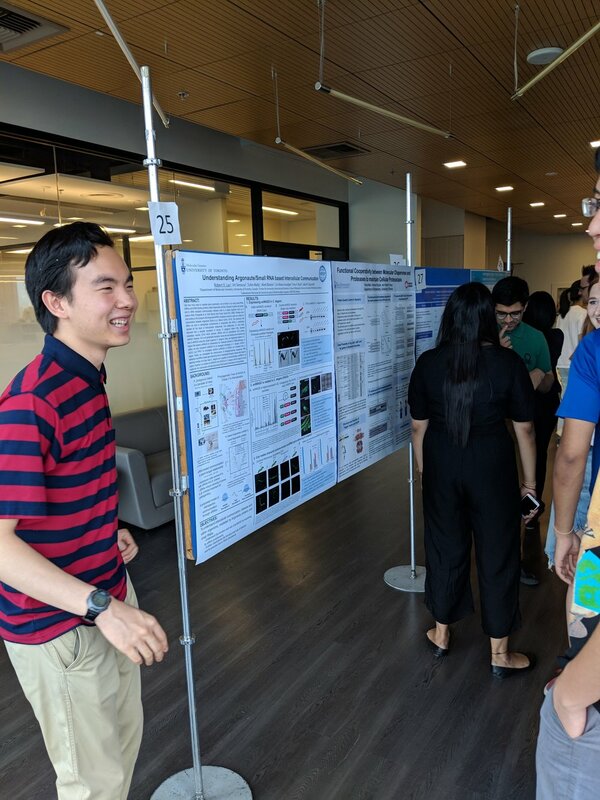 Robert did a great job on his poster presentation at the U/G Poster Session! The lab enjoyed a fun-filled day of RNA at TREnD2018! Great work, everyone! Congratulations to Amanda and Julia on winning Ontario Graduate Scholarships! Great work, Julia and Amanda!! 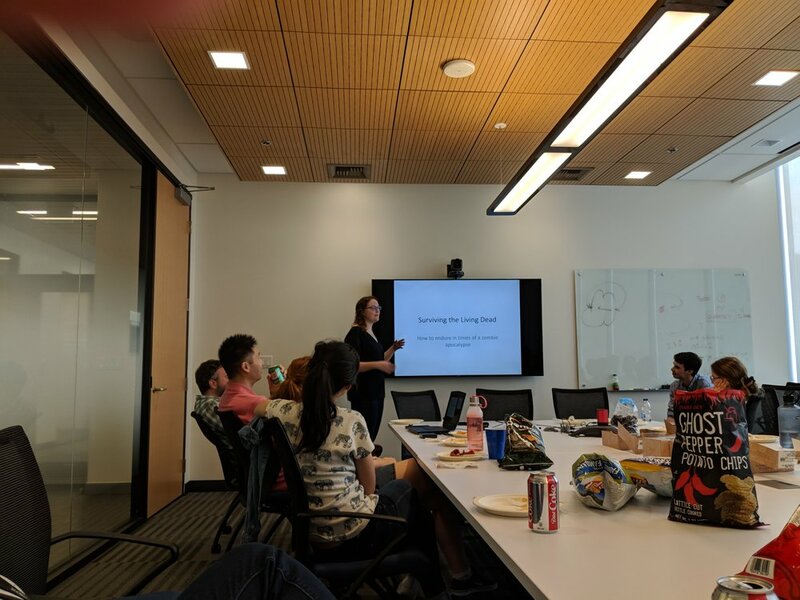 We had a great time at the Collaborative Specialization in Developmental Biology Retreat this year! Julia and Melissa are ready to start an awesome day of Dev Bio! Amanda and Claycomb Lab Alum (i.e., first member ever) Wendy enjoy the day. Dr. Wu gave an outstanding talk on VSRA-1 at the CSHL ncRNAs Meeting! Congratulations to Chris Wedeles, the Claycomb Lab's newest PhD student! Chris had his thesis defense on Friday, April 13th, 2018, but there was nothing unlucky about it! Great job! Congrats, Dr. Wedeles! Nucleosome Cookies, complete with M&M histone modifications!